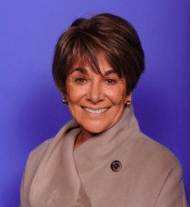 Congresswoman Anna Eshoo who represents much of Silicon Valley on her support of Safer Internet Day and ConnectSafely. It was Rep. Eshoo who, in 2014, wrote the critical letter to the European Commission that assured ConnectSafely’s appointment as U.S. Safer Internet Day host.